A few years before he became president, Ronald Reagan appeared on Firing Line. The topic of the January 13, 1978, episode of William F. Buckley Jr.'s long-running debate show were the treaties by which the United States relinquished the Panama Canal to its host country. Reagan had been against the treaties for years, using them to catch up to President Ford during the 1976 GOP primary. And Buckley had been against them, too, until a visit to Panama changed his mind. What might first appear as a trivial issue at a time of economic stagflation and diminishing American power was in fact incredibly meaningful to large numbers of voters, especially conservative ones. "Certainly it was of major consequence in my own career as a conservative," Buckley wrote later. "I received much disparaging mail for having deserted first principles, and the stand I took is still here and there cited as evidence of my unreliability as a conservative." The debate was between two teams of four. 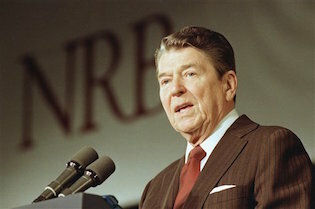 Reagan led the opposition. Alongside him were journalist and presidential aide Patrick J. Buchanan, Latin America specialist Roger Fontaine, and Admiral John McCain Jr. Buckley argued pro. His teammates were National Review senior editor James Burnham, syndicated columnist George F. Will, and Admiral Elmo Zumwalt. Former senator Sam Ervin was the judge. You can watch the match here, and read about it in On the Firing Line, Buckley's history of his 33-year-old program. Within seconds you will be struck at the level of discourse between the future president and his interlocutors. The repartee is spirited, intelligent, respectful, detailed, and humorous. It is hard to imagine a similar intra-conservative dialogue being held today. And yet, at some level, a replay of the controversy over the Panama Canal Treaty is exactly what the American right has been experiencing over the last 16 months. The conservative movement is divided over the question of Donald Trump, over his suitability for office, over the issues of nationalism, illegal immigration, criminality, corruption, and elitism he has raised in his campaign. The terms of and parties to this dispute are remarkably similar to those in the debate almost 40 years ago. In some cases they are the very same people. The antagonism between the populism of Buchanan and the conservatism of National Review is remarkably persistent. What makes that episode of Firing Line significant in retrospect is how it threw into high relief the differences between Buckley and the so-called New Right. Since founding National Review in 1955, Buckley and his colleagues had been the spokesmen of an intellectual and philosophical critique of democratic mass society as well as the domestic and foreign policies of American liberalism. Beginning with the Republican nomination of Barry Goldwater (whom Buckley supported) in 1964, however, and accelerating in the tumultuous 1970s, the National Review crowd found itself challenged by a group of activists, journalists, and politicians whose criticism of the elite was populist, vehement, bipartisan, and anti-corporate. The question of how these anti-Establishment newcomers from the south and West fit into the conservative movement and the Republican Party, the question of where to strike the balance between populism and conservatism, has bedeviled conservative intellectuals and pro-business GOP officials ever since. It is noteworthy, for example, that Reagan sided with Buchanan and the populists in the debate over the Panama Canal. If he hadn't done so he would have alienated an increasingly important Republican constituency. "I think, ironically, that Reagan would not have been nominated [in 1980] if he had favored the Panama Canal Treaty, and that he wouldn't have been elected if it hadn't passed," Buckley wrote in Overdrive. "He'd have lost the conservatives if he had backed the treaty, and lost the election if we'd subsequently faced, in Panama, insurrection, as in my opinion we would have." This is the crisis of the conservative intellectual. After years of aligning with, trying to explain, sympathizing with the causes, and occasionally ignoring the worst aspects of populism, he finds that populism has exiled him from his political home. He finds the détente between conservatism and populism abrogated. His models—Buckley, Burnham, Will, Charles Murray, Yuval Levin—are forgotten, attacked, or ignored by a large part of the conservative infrastructure they helped to build. He finds the prospect of a reform conservatism that adds to our strengths while ameliorating our weaknesses to be remarkably dim. Such conservatism has exactly two spokesmen in the Senate. It has a handful of allies in the House and states. From the Panama Canal to the Tea Party, from Phyllis Schlafly to Sarah Palin, the conservative intellectual has viewed the New Right as a sometimes annoying but ultimately worthy friend. New Right activists supplied the institutions, dollars and votes that helped the conservative intellectual reform tax, crime, welfare, and legal policy. But that is no longer the case. Donald Trump was the vehicle by which the New Right went from one part of the conservative coalition to the dominant ideological tendency of the Grand Old Party. To best understand the history of modern American conservatism, it helps to think of it in terms of waves. First came the Old Right, the anti-statist opponents of Wilson and Roosevelt, of the New Freedom and the New Deal, of the First and Second World War. Then came Buckley and National Review, fusing classical liberals, traditionalists, and anti-Communists into a conservative mainstream. Later, in the 1960s, a group of Cold War liberals moved steadily to the right, eventually calling themselves neoconservatives. It was also during the 1960s that William Rusher, the publisher of National Review, became disappointed with the conservative movement. Buckley, Burnham, Frank Meyer, Whittaker Chambers, and Russell Kirk had books and journals and lectures, but they lacked power. Their conservatism was elitist, pessimistic, grimly witty, and academic. It lionized abstruse philosophers such as Eric Voegelin and Leo Strauss and Richard Weaver. To use a phrase uttered often today, Rusher wondered what conservatism had conserved. The main obstacle to an effective conservatism, Rusher believed, was a Republican Party dominated by Eastern liberals. He was instrumental in winning the 1964 GOP nomination for Senator Barry Goldwater, a son of the West and a devoted National Review conservative. Goldwater lost bigly, of course. But that loss also secured conservative primacy within the Republican nominating process. No longer could the right be ignored. The 1964 election also empowered President Johnson to enact his Great Society. Legitimized and in some respects expanded by the Supreme Court, LBJ's program involved the federal government much more deeply in aspects of civil society—the city, the town, the school, the family, the church—that it had previously ignored. The results were mixed at best. Crime surged. Inflation accelerated. Welfare rolls increased. Riots broke out. Women, gays, and African Americans revolted against discrimination. The ability of parents to determine where their children went to school, and what they learned once they got there, was severely diminished. This "great disruption" of American politics, culture, and society provoked a reaction. Shortly after Goldwater's defeat, Buckley helped found the American Conservative Union to promote the cause. 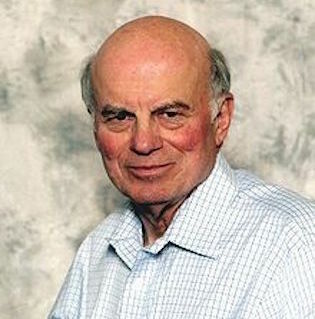 In 1965, Richard A. Viguerie formed a direct-mail solicitation firm to collect signatures and donations and rally citizens outraged at the direction in which America was headed. As Alan Crawford writes in Thunder on the Right, "the leaders of the New Right have mastered the art by taking their message directly into the living rooms of their constituents via their mailboxes. Through the accumulation of lists of supporters, they have built a national following to which they can appeal for money to bankroll their organizations and which they can mobilize for political action." That all this was happening outside the traditional institution of the political party was crucial. The New Right did not necessarily see itself as Republican or Democrat. Indeed, the voters filling Viguerie's pockets were typically Southerners and blue-collar workers in Northern cities who had voted for FDR, Truman, and Kennedy. "But the focus of political debate shifted in the 1960s, when the Democrats became the party of social engineering," writes Robert W. Whitaker in The New Right Papers. Social engineering is a massive manipulation of a society's structure and values, aimed at bringing about desired ‘social change' in the direction considered best by a small elite. It is carried out through programs to achieve racial balance, ‘progressive' education, the discrediting of traditional values and parental authority, and imposition of a new ideology and morality. The opponents of social engineering are fittingly referred to here as social conservatives. These social conservatives did not join the GOP right away. In 1968, they voted in large numbers for the Alabama populist and segregationist ex-Democrat George Wallace, who won five states and 14 percent of the popular vote. Buckley and National Review were antagonists of Wallace, but Buchanan and Rusher were much more accommodating. It was Nixon aide Kevin Phillips, in his book The Emerging Republican Majority, who urged the president to bring the social conservatives into the Republican fold. By emphasizing the issues of crime and disorder, and by unleashing his vice president to attack the bias and countercultural values of the media, Nixon appropriated the Wallace vote and won reelection in a landslide. He resigned from office less than two years later. "If there was a single moment you can point to as the beginning of the New Right, it came in August 1974," Viguerie wrote. That was when the new president, Gerald Ford, appointed as his vice president Nelson Rockefeller, "the very symbol of old, Eastern, liberal establishment Republicanism." What the New Right saw as Ford's betrayal illustrated a maxim of conservative M. Stanton Evans: "By the time they get into a position where they can help us, they are no longer one of us." 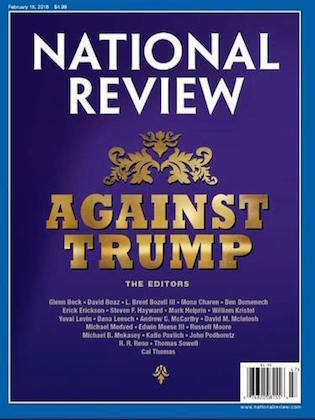 The axis of Republicans, National Review conservatives, and social conservatives broke up. The headline of a 1975 article by Phillips described an emerging power center in the "Coors/Richard Viguerie/New Right Complex." There were discussions of forming a new party. 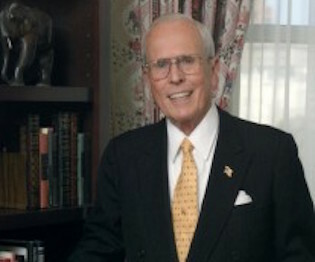 "Viguerie and his allies, who now began to be called the New Right, were broadly sympathetic to my own 1975 call for a new party to institutionalize the majority coalition of economic and social conservatives," Rusher wrote, "whereas most other conservative analysts and activists preferred to stick with the GOP." The new party would be unified by a total rejection of the status quo. Its base of support would be the Old South and the rapidly growing West, along with blue-collar counties in the north, a combination of the Sun Belt and Orange County, Canarsie and Cuyahoga County. Its pop culture heroes would be cowboys and renegades such as John Wayne and Clint Eastwood. It would conceive of itself as an oppositional force, antagonistic to all aspects of the Eastern Establishment, Republican and Democrat, liberal and conservative, cultural and economic. The new party would devalue intellect and prioritize activism. "Buckley has acknowledged that most of the NR circle had been brought up on James Burnham's Suicide of the West doctrine—a pessimistic, almost Spenglerian point of view—and that the possibility of arresting the decline of the West was not part of their consciousness at all," wrote Paul Weyrich, who started the Heritage Foundation in 1973. "In 1978, William Buckley admitted to me that where political action was concerned, National Review had been guilty of the theological sin of otherworldliness: the belief that as long as one's own life was free of sin, one needn't worry about the affairs of the world." 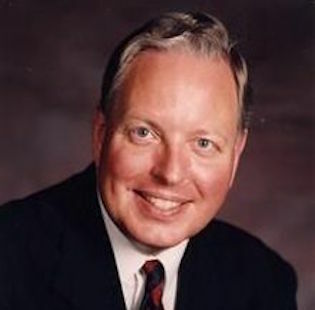 "There are conservatives whose game it is to quote English poetry and utter neo-Madisonian benedictions over the interests and institutions of establishment liberalism," Kevin Phillips wrote in Commentary, clearly rebuking Will. "Then there are other conservatives—many I know—who have more in common with Andrew Jackson than with Edmund Burke. Their hope is to build cultural siege-cannon out of the populist steel of Idaho, Mississippi, and working-class Milwaukee, and then blast the Eastern liberal establishment to ideo-institutional smithereens." In two sentences Phillips repudiated the cornerstone of Burkeanism—the protection of established order against radical challenges—in favor of upheaval, destruction, and power. Today, when we think of Wallace and the fight against crime and busing, we think of racial antagonism and bias. But there was also something else going on. "Racism is a part of it, though somewhat muted in recent days," wrote Kirkpatrick Sale in his 1975 book Power Shift. "But more potent still is a broad adversarianism, a being-against. Wallace has no real policies, plans, or platforms, and no one expects them of him; it is sufficient that he is agin and gathers unto him others who are agin, agin the blacks, the intellectuals, the bureaucrats, the students, the journalists, the liberals, the outsiders, the Communists, the changers, above all, agin the Yankee establishment." It took a figure of Ronald Reagan's stature and talent to convince adversarianists that they had a place in the Republican Party. His 1976 campaign against Ford was the start. His opposition to the Panama Canal Treaties credentialed him as a nationalist and populist. At times viewed by the New Right with suspicion, Reagan won them over not only through policy concessions but also through his own success. The alliance between a popular U.S. president and a burgeoning social movement benefited both parties. Support for Reagan legitimized the New Right inside the Republican Party and among the other factions of the movement such as the Buckleyites and neocons. Once again, however, the goodwill was short lived. The first President Bush was the literal offspring of the Eastern Establishment so detested by the New Right. His embrace of a "New World Order" after the collapse of the Soviet Union, his overseas interventions, his support for free trade, his tax increases, and his environmental and disability regulations alienated Viguerie, Weyrich, Phillips, Buchanan, and their associates, followers, political action committees, foundations, and think tanks. Buchanan ran for the Republican nomination in 1992 and 1996. Democrats won both years. Opposition to President Clinton and the inventive leadership of Newt Gingrich brought the New Right back into the fold with the Republican Revolution of 1994. Meanwhile, another group had entered the conservative movement: the religious right. While the two groups overlap, it is worth distinguishing the New Right from the religious right. True, the Reverend Jerry Falwell was a New Right leader. Due to its numbers, the religious right contained populist elements. But the religious right was also much more friendly to establishments than the New Right. It did not seek the overturning of the American system but to reform it along the lines of Evangelical principle and Catholic social thought. It was much more universal in its appeals. It defined itself less in oppositional terms. The New Right was against busing, the religious right was for school choice. The exemplary New Right leader is Buchanan. The exemplary religious right leader is President George W. Bush. Some of the second President Bush's most vituperative critics were associated with the New Right. They opposed the second war with Iraq, increases in federal spending, and reforms of immigration. These critics assailed John McCain and Mitt Romney for betraying "true conservatism." They cheered Sarah Palin. They marched against amnesty, against tax increases, against Obamacare. They organized Tea Parties, defeated incumbent Republican senators who had gone native in Washington. But, more often than not, they found themselves on the same side as the conservative intellectuals on the East Coast. Then Donald Trump happened. 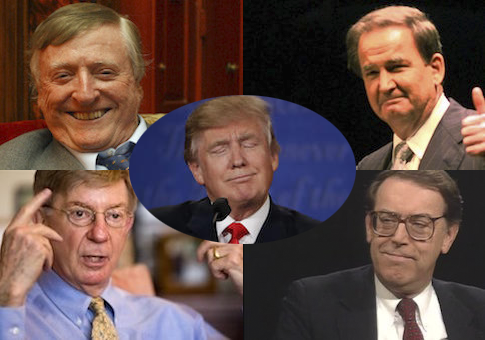 Trump's strongest supporters are drawn from the network of institutions, spokesmen, and causes established by the New Right some 40 years ago. The single-issue groups fighting for gun rights, the right to life, and right to work are behind him. So is the American Conservative Union. Opinion at the Heritage Foundation is divided, leaving the conservative powerhouse rather muted during 2016. Other institutions have picked up the slack. Trump is promoted by cable news, talk radio, bloggers, the Drudge Report, Breitbart, and Infowars.com. 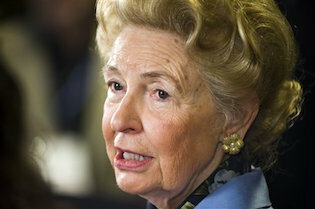 Phyllis Schlafly was one of Trump's most committed supporters before her death earlier this year. Buchanan cheers on Trump at every opportunity. Jerry Falwell Jr. gave Trump his blessing. "Donald Trump will be helping to advance the conservative movement," Viguerie said last summer. Trump deploys New Right symbols and tropes. His antagonism toward the Eastern establishment is obvious. He made a point last year to obtain the endorsement of John Wayne's daughter. He earned tepid support from Clint Eastwood in an interview with Esquire. He is strongest where Wallace was strongest, among whites without college degrees, in the south, in ethnic blue-collar enclaves such as Staten Island. In Orange County, California, Trump took 77 percent of the Republican primary vote. Just north of Orange County are the Claremont Colleges, where the Trump-friendly Claremont Institute is based. Immigration, which emerged as a social issue at the turn of the twenty-first century, was key to Trump's success. So was his role as outsider, independent critic of the rigged system, scold of elites, avatar of reaction. The apocalyptic predictions, the dichotomy between makers and takers, even the idea of seizing Arab territory and "taking the oil" comes straight from Bill Rusher’s 1975 Making of the New Majority Party. The relentless hostility toward the media, both liberal and heterodox conservative, the accusation that it, the government, and the financial sector is engaged in a criminal conspiracy with Hillary Clinton, the denigration of Speaker of the House Paul Ryan, the appeal to supporters of democratic socialist Bernie Sanders, the charge that the "global power structure" has "stripped" manufacturing towns "bare and raided the wealth for themselves"—this is adversarianism in its purest, most conspiratorial, most totalistic form. The triumph of populism has left conservatism marooned, confused, uncertain, depressed, anxious, searching for a tradition, for a program, for viability. We might have to return to the beginning to understand where we have ended up. We might have to reject adversarianism, to accept the welfare state as an objective fact, to rehabilitate Burnham's vision of a conservative-tinged Establishment capable of permeating the managerial society and gradually directing it in a prudential, reflective, virtuous manner respectful of both freedom and tradition. This is the challenge of the moment. This is the crisis of the conservative intellectual. What makes that crisis acute is the knowledge that he and his predecessors may have helped to bring it on themselves.